USPS Tracking is a way for you to make sure that your most important packages make it to their final destinations. The US Postal Service can tell you the date, time and zip code where your item was delivered, giving you peace of mind. If the postal carrier tries to attempt a delivery, you’ll get the date and time of that attempt, too. USPS offers two types of tracking – retail and electronic. Retail USPS Tracking: USPS sells retail tracking at its Post Offices. Just fill out PS Form 152, which is a bright green label that is available at the customer desk. You can check the status of your item by entering a code online at USPS’s Track and Confirm page or by calling a number on the form. 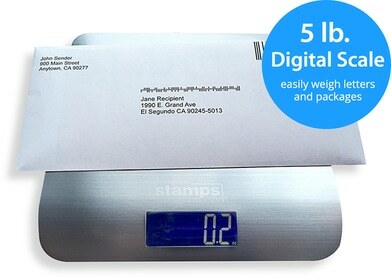 Stamps.com customers can use retail USPS Tracking by combining PS Form 152 with either NetStamps labels or when printing postage directly onto envelopes. Electronic USPS Tracking: If you print postage from an online service, such as Stamps.com, the program will include electronic USPS Tracking on your package for free for all mail classes. 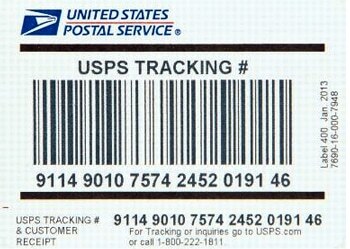 USPS Tracking service is represented by a bar code that is either printed on your shipping label or attached to your letter or package with a sticker. In addition to information about the item’s final destination, the bar code allows the USPS to track how your item moves from city to city. The sticker, also called PS Form 152, is available for free at the post office and must be filled out by hand. Delivery status may be checked by entering the USPS Tracking number online at USPS’ site or at Stamps.com if you’re a customer. USPS Tracking is free when purchased at the Post Office. USPS Tracking can be combined with other services, including Return Receipt, Return Receipt for Merchandise, Collect on Delivery (COD), Domestic Insurance, Registered Mail, Restricted Delivery and Special Handling. Some items cannot be sent with USPS Tracking of any kind. These items include periodicals, letters and flat pieces sent by First-Class Mail, Standard Mail letters, Enhanced Carrier Route Standard Mail pieces and mail paid with pre-canceled stamps. Electronic USPS Tracking is free for Stamps.com customers sending First Class Package Service, Parcel Select Ground, Priority Mail or Priority Mail Express when your shipping labels are printed inside the Stamps.com program.